I think wish tree is a very good. I like it because its different, how its in the perspective of the tree. I think this book is good for all ages. I loved the book. My favorite part was the end when they found something special about red. I love this book everyone should read it! I recommend this book to…EVERYONE. so if you want this book get it!! 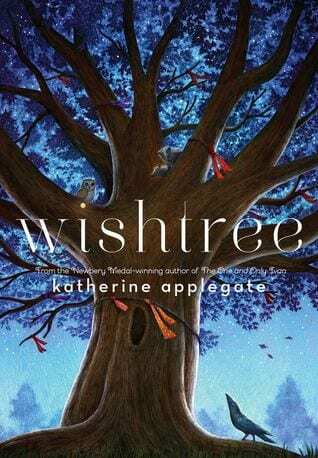 Wish Tree is a fantastical tale of how a simple Red Oak and her inhabitants work together to make a special wish come true and improve their quiet little neighborhood. Wishtree is an incredible fiction book about a tree and his perspective on life, along with his other furry friends. I recommend for 5th and 6th graders. Wishtree was a great book. it really got me thinking about nature and animal life. if you love fiction, read Wishtree by Annie Brabozan. Wishtree is an incredible fiction boom about the importance of every living things life. I think that it is a really good book and that anyone who gets the chance should read it. WishTree is a good book. It has a nice message to the readers who ever is reading it. It is a good book for all ages and I recomend that EVERYBODY read it. Please write back to me soon.